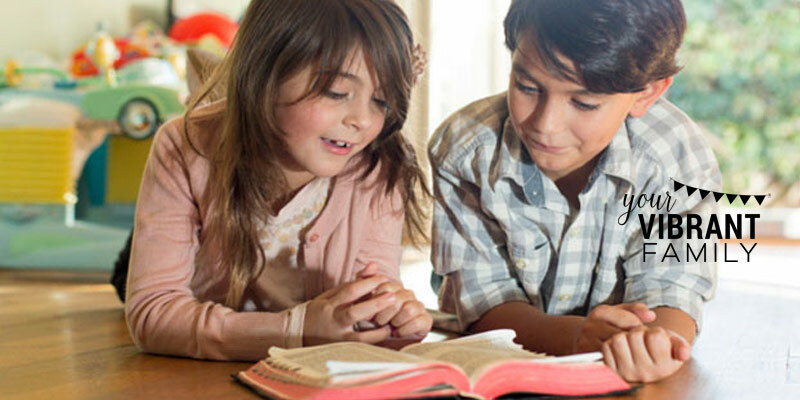 Looking for easy ways to teach a Bible memory verse to a child? I have happy memories of Bible verse memorization as a child, and I believe Bible memory work is a big part of teaching kids about God. 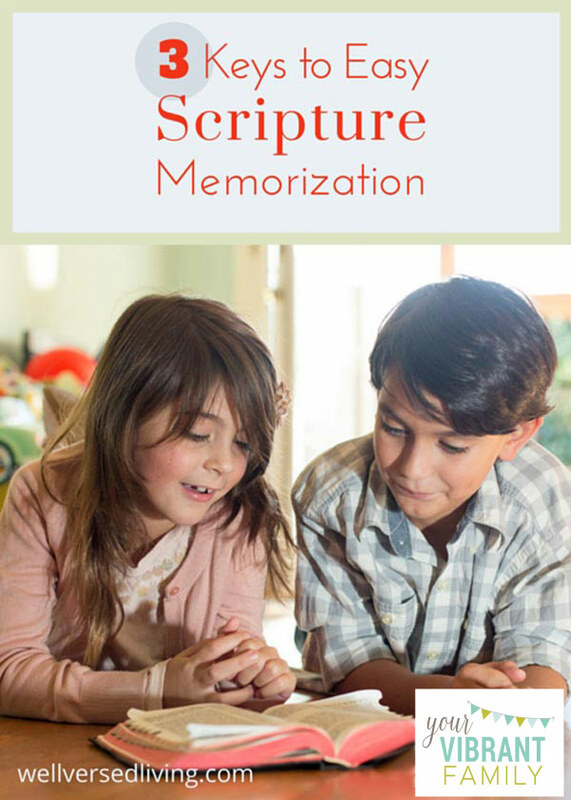 But as busy mom, I need simple approaches to teaching scripture memorization to my kids. Are you with me? Here’s are the 3 easy ways I’ve learned to teach a Bible memory verse to kids. Plus, I’m sharing several lists of Bible memory verses (some of them easy memory verses) to make Bible memorization even simpler. Learn it, link it, live it: These are the three principles that I’ve found make it so much easier for kids to learn a Bible memory verse. Let’s take a closer look at these 3 easy Bible memory methods. I’ve also included some Bible memorizing ideas (such as Bible memory games) for inspiration. Bible Memory Verse Technique #1: Learn it. Bible verse memorization takes repetition and review–going over and over a memory verse until it’s locked in our memory. And I’ve found that memory verses are remembered best when they are recalled repeatedly over several days. For example, saying a verse twenty times in one day is not as helpful as saying it twice a day for ten days. Will embed in your head. Take turns reciting the memory verse using entertaining accents, like a deep southern drawl or Shakespearean stage voice. Sing the memory verse to an operatic style, rap beat, or familiar tune. Display the passage where your family can see it daily. Place a memory verse card beside your child’s bed for cozy nighttime review. Keep a memory verse card in the car for when you are out and about. Bible Memory Verse Technique #2: Link it. Associating and connecting a memory verse to something else – a picture, activity, motion, or melody – enhances our ability to recall. This also makes for easy scripture memorization. Bible memory links are especially important for young children. Good links connect their concrete thinking to abstract spiritual concepts. It gives them a “hook” to hang the words on. The butterfly is a helpful illustration of our new life in Christ. “…if anyone is in Christ, he is a new creation” (2 Corinthians 5:17). Purchase a butterfly kit. Tape a verse card to the outside. Then watch as the caterpillars transform into new masterpieces. A flashlight is a handy learning link for Psalm 119:105, “Your word in a lamp to my feet and a light to my path.” Give your child his own flashlight and write the verse on the handle. A wilted Mother’s Day bouquet is an visual (and smelly) learning link for Isaiah 40:8, “The grass withers, the flower fades, but the word of our God will stand forever.” Write the verse on an index card and tape it to the vase. Scripture memory links are everywhere: in the sky, at the park, around home. It’s simply a matter of seeing them and seizing them! Bible Memory Verse Technique #3: Live it. Application moves Bible memory verses from our heads to our hearts. 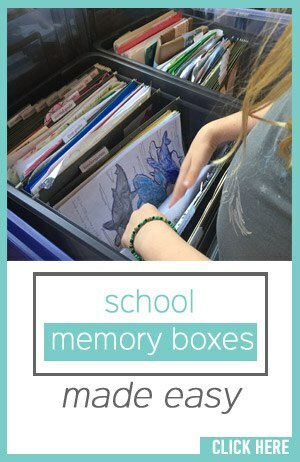 We must teach our kids to put those awesome Bible memory verses into action! Brainstorm how your family can live a verse – and then do it. Put feet to your faith, and motion to your Bible verse memorization. Pray for someone who has wronged you and ask God to bless him (Matthew 5:44). Send a card to encourage a missionary family serving in a hostile area (Hebrews 13:3). Bring dinner and a bag of groceries to an elderly widow and keep her company for a while (James 1:27). Some verses are lived by believing they are true. After all, “the righteous shall live by faith” (Romans 1:17). This book also has more ideas on Bible memory work for kids. Yes, teaching kids Bible memory verses is important, but what’s the purpose of memorizing Bible verses if a child hasn’t also learned how to make those verses relevant to their lives? Kids need to know, first and foremost, how to study the Bible. They need to know not just how to read and memorize a Bible verse, but they need to know what that verse means and how to apply it to their current problems and life situations. Want an easy way to teach kids how to understand all those wonderful Bible verses? I encourage you to get this FREE (yes, free!) 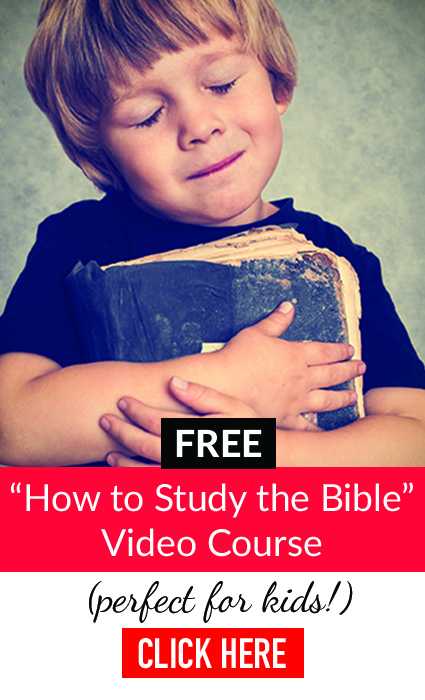 video course called “How to Study the Bible” that gives you step-by-step instructions on how to teach your kids this simple Bible study method. Teach your kids to not only hide God’s word in their heart, but to let God’s truths impact every corner of their lives. Teach them how to study the Bible with this simple, effective method and you will set them up for incredible spiritual growth! Just click here and I’ll send this free video course to your inbox. It’s my gift to you (from one parent to another who wants to teach their kids about God)!